The letter below that Ken Pimlott, the Director of the California Department of Forestry and Fire Protection wrote to the Chief of the U.S. Forest Service, Tom Tidwell, states unequivocally that CAL FIRE is not pleased with the current state of the large air tanker fleet which has disintegrated by 75 percent over the last 10 years to only the 11 we have today. 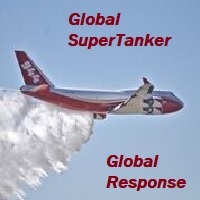 They also point out that the recent USFS Large Air Tanker Modernization Strategy is insufficient to meet the needs of the combined federal, state and local wildland firefighting missions. Interesting conundrum: States versus Fed responsibilities? Can you have it both ways? More Fed in our lives or less – more individual responsibility for the risks we take, or less – more Fed subsidies to the States or less – more taxes or less – the common good, or the rights of the individual, with the rest be damned? Interesting questions and choices! Is Cal fire the only state that has an aviation wing that is bigger than the USFS ? Ca. pays the most in taxes of any state and gets the lest. You have to weigh the value at risk. There are way more state protected lands in CA than federal. 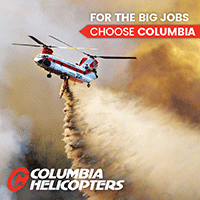 Thus the need for Calfire to have the aviation resources they have. Still not an excuse for the reduction in federal resources to protect their own protection. I assume, like all states, Calfire has done the analysis to decide their level of acceptable protection and they have built their aviation program to match the needs. 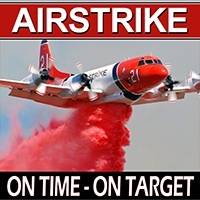 If the feds need airtankers on their incidents and the state cannot provide them based on their own needs, so be it. The feds shouldn’t be relied on to provide air resources to states unless they have a contract that the state pays for part of the costs. CAL FIRE protects a little over 31 million acres. Forest Service protects a little over 20.06 million acres. BLM protects 15.2 million acres. National Park Service protects 7.56 million acres. Fish and Wildlife Service protects 314.5 thousand acres. Approx. total federal land protected (excluding military bases) is a little more than 43 million acres. Fair enough, I made an assumption based only on USFS lands. My bad, but… the point is agencies choose a level of protection and must live with their decision. If the state feels it needs more air resources to meet its protection targets then it needs to pay for it, not rely on the feds. When that is the case you strike fireline agreements on what actions will be taken to protect each other’s responsibilities. 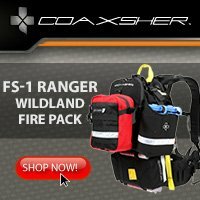 Lets see, so the CAL FIRE’s budget is just as bad as the USFS and BLM, All fire agency have taken a big hit and have to cut rolling stock, (Didn’t I just read that CAL FIRE isn’t staffing allot of Engines due to $$) , So CAL FIRE has put all its eggs in one basket and that would be the VLAT. Sounds like to me they want someone else to pay the bills …. There are some “shooting from the hip” comments that don’t capture the intent of the State’s concern. With congressional approval of our goverment at 10% it must be very frustrating for Mr. Tidwell and Mr. Harbour to get anything accomplished. The “State stands ready to assist you”. This cooperative spirit has always been a part of the the relationship between the State and Federal air programs in California. 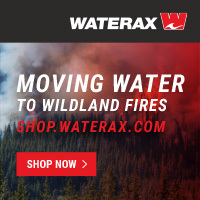 I understand the concerns CA is stating, as i watched the Dollar Lake fire (Mt Hood NF) make a run for the Bull Run watershed and heard the radio traffic from ATGS calling in a tanker and wating over an hour for it to arrive from Redding. It was concerning. Considering the State had one tanker in Redmond and one in Medford that the feds are prohibited from using unless there is a “compelling life safety need” but still are prohibited to pay for the loads it’s frustrating as well. With the cuts to all fire fighters nationwide, with little forward thought it seems the nation has moved away from 9/11 to a place I don’t recognize anymore. I watched Texas burn in April and again in the summer. There were wasn’t any changes made in the time between. The houses burned, the people lost everything photos, cars, and even their lives. The resources are here if called on, it is not rocket science. The DC-10s, the 747, Martin Mars, the highly trained hot shot crews. They were all available this last summer… the Question is at what cost? 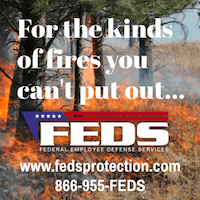 There are some basic considerations that fire managers at the State and Federal levels need to address, especially in cases like Texas in 2011 and Yuma County, Colorado earlier this month: whose responsibility is the fire suppression, do we have cooperative agreements with others to help out, and if so, who pays for the help. Texas last year was talking about seceeding from the Union, had little Federal lands involved in the big fires, and wanted Fed $$ even after they cut back on their own programs and had money in their “rainy day fund.” Should the Fed side be expected to staff up A/Ts for that type of scenario? In Yuma County, I’m sure they didn’t have an agreement with the Feds for A/T use, and probably didn’t have the budget to pay for it anyway. I know it sounds awfully bureaucratic, but I’ve commited A/Ts to similar situations years ago and got pounded later when the outside auditors came looking for the legal authority I used to launch expensive Federal resources and then get them paid for. Very similar to some of the structural departments that we’ve read about that refuse to fight fires where the homeowner has not paid their fire assessment fees. The bottom line is that A/Ts don’t fly for free, retardant costs $$ too, and Agency folks have to operate w/i the laws and regs they have. If the US had a mega-buck surplus, we could meet everyone’s needs/wants and never worry about the costs – unlikely we’ll see that again in our lifetimes. 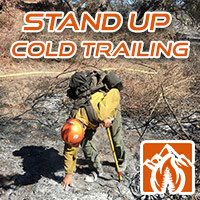 The Forest Service continues to tell the public (recent news article in So. 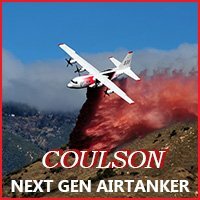 Cal) they have adequate fixed wing air tankers for this coming fire season. Maybe Mr. Tidwell didn’t get the letter from Chief Pimlott of Cal Fire. 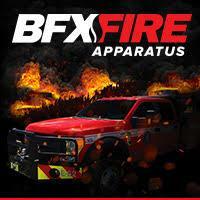 How many drops were made on the wildfire a few days ago in Colorado? Yes, I understand it would not have made a difference in this fires outcome. Eleven fixed wing air tankers for the Western States, two will be on days off (this policy is ridiculous) the math adds up to 1.2 air tankers per state. If you keeping telling yourself and the public the same thing over and over, eventually you start to believe it. Thank you for the reply, and for the back story. I wish the USA had the held the same level of importance as Ca. fire. Just for a back stop.